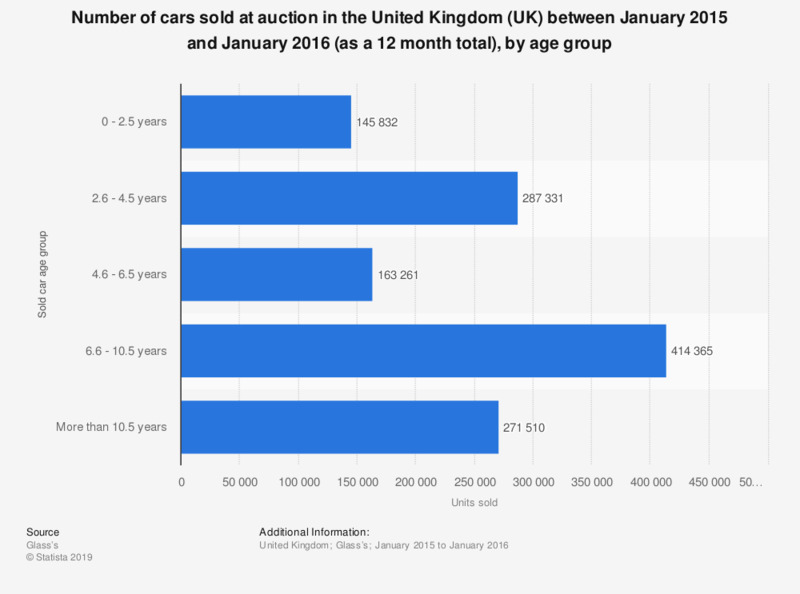 This statistic shows the volume of cars sold at auction according to age group in the United Kingdom (UK) as a 12 month total from January 2015 to January 2016. Most of the cars sold at auction over this 12 month period were aged between 6.6 and 10.5 years, more than twice as many than from the age group 4.6 to 6.5 years. The second most numerous age group was the 2.6 to 4.5 years age group with the smallest number of cars sold unsurprisingly being between 0 and 2.5 years old. Data collected from National Association of Motor Auctions (NAMA) members.